Another take on the Coens & "No Country for Old Men"
A way of perceiving the world. 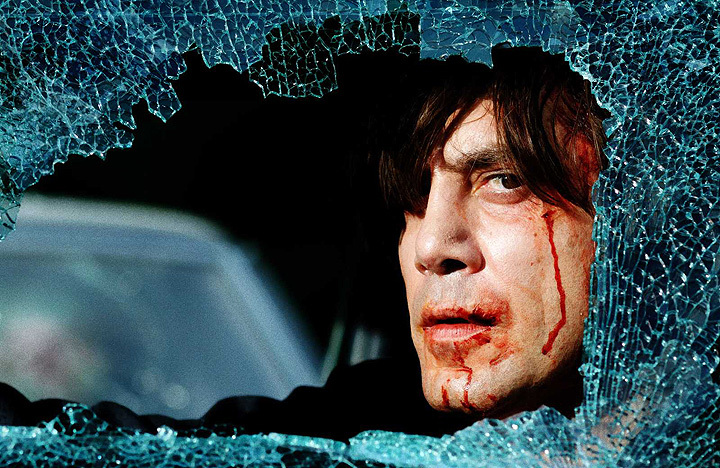 There are hundreds of things thrillingly right with "No Country for Old Men," the new film from Joel and Ethan Coen, and the temptation to describe a few dozen of them must be resisted at this time. But let's allow ourselves just one, from early in the movie. A Texan named Llewelyn Moss (Josh Brolin) has left his trailer-park home in the middle of the night, climbed into his pickup, and driven to a remote area where, the previous day, he happened upon a grisly scene. Moss pulls his truck right up onto the rim overlooking the place, gets out, and starts walking down into the gully where the bad thing happened. Never mind what he's up to, especially since he may not be entirely sure himself. He's come to a lonely and dangerous location where a shocking number of people got themselves killed, and as he descends, somehow it matters that the filmmakers keep his truck in view behind him, crisply silhouetted on the rim. It's a small thing, but so satisfying. It means that whatever happens down below, Moss still has a way out, a way back to the rest of the world. But it also means more, is more. Just the sight of the truck is peculiarly thrilling. The truck is unquestionably real, not a special effect, yet there's a preternatural vividness about its stark black outline against the charcoal night sky. Cinematically, it's too good to be just a truck -- it's the corner of a pattern yet to be disclosed. And a minute later, after Moss has discovered a gruesome new dimension to the scene in the gully, he looks back up at the rim and sees that alongside the truck's silhouette is that of another vehicle. And the silhouettes of men who now almost certainly will come to kill him. I submit that such cinematic moments define the Coens' artistry, beyond any ideological agendas imposed upon them from the outside. [They] could be found art, shards of experience and texture glimpsed where they lay. What all share is the joy of, "We get to do this" -- to put into a film the kind of accidental, trivial, evanescent, but piercingly evocative detail we've all noticed, while walking along a lane or registering the tricks of perspective when looking out of a moving vehicle, and thought, "Somebody ought to put that in a movie sometime." The Coens put stuff like that in movies all the time. That's one of the best reasons for valuing them, and for not being stampeded by those critics -- professional and amateur -- who decry them as heartless ironists and mere connoisseurs of the grotesque. Given what the Coens' best movies do, I find the most common and predictable criticisms of them beside the point -- like complaining that Jackson Pollack didn't paint recognizable figures: "Hey, are those supposed to be portraits or landscapes or still lifes? Who's this guy trying to fool?"